Interested in shipping your household goods/personal effects/car overseas? At Aris Export we specialize in international freight shipping. 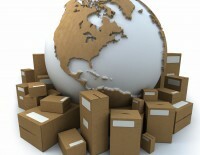 Aris Export can ship a variety of items. Aris Export can take care of packing your goods (full load or minimal load), or you can load it yourself. There are many options to choose from, according to your budget.